THERE IS SIGNIFICANT HAIL DAMAGE ALLOVER THE HOOD, ROOF, TRUNK LID AND ON BOTH LEFT SIDE FENDERS. THE CHECK ENGINE LIGTH IS ON. THERE ARE LOTS OF CHIPS ACROSS THE VEHICLE. THE LEFT FRONT DOOR AND REAR BUMPER ARE SCRATHED. THE RIGHT FRONT DOOR HAS DEEP SCRAPES AND IS DENTED AROUND THE HANDLE AREA. THE INTERIOR IS DIRTY. THE DRIVER'S SIDE MIRROR IS BROKEN. 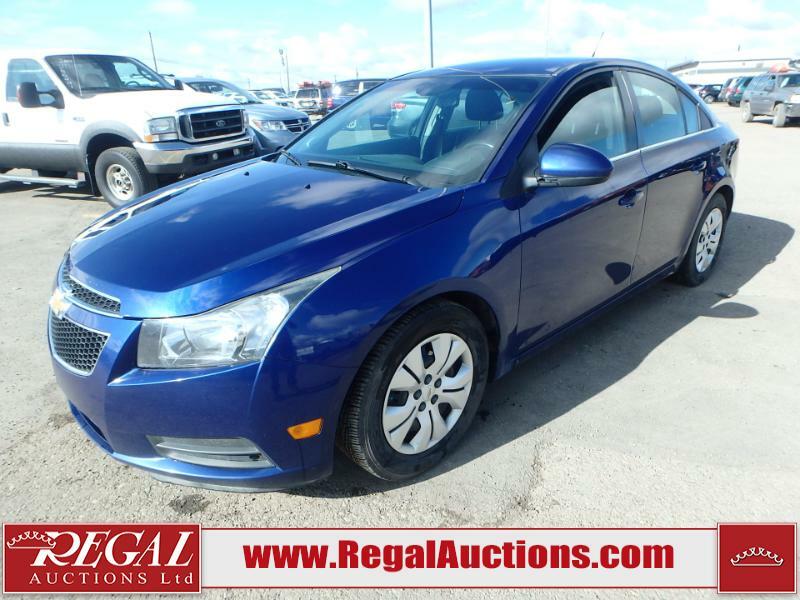 THIS COMAPCT SEDAN IS A 2013 CHEVROLET CRUZE LT MODEL POWERED BY A 1.4 LITRE 4 CYLINDER ENGINE AND AN AUTOMATIC TRANSMISSION. IT IS EQUIPPED WITH POWER WINDOWS AND POWER LOCKS.